I'd like to to meet Jana. She is my brother & sister-in-law's darling dog. It started off with the usual story, son buys dog. Son leaves home, can't take dog. Meets girl who doesn't like the dog. Soooo Jana remains with Mum & Dad. Of course my brother did not want to keep her, told everyone she was a nuisance, secretly, he loved her. 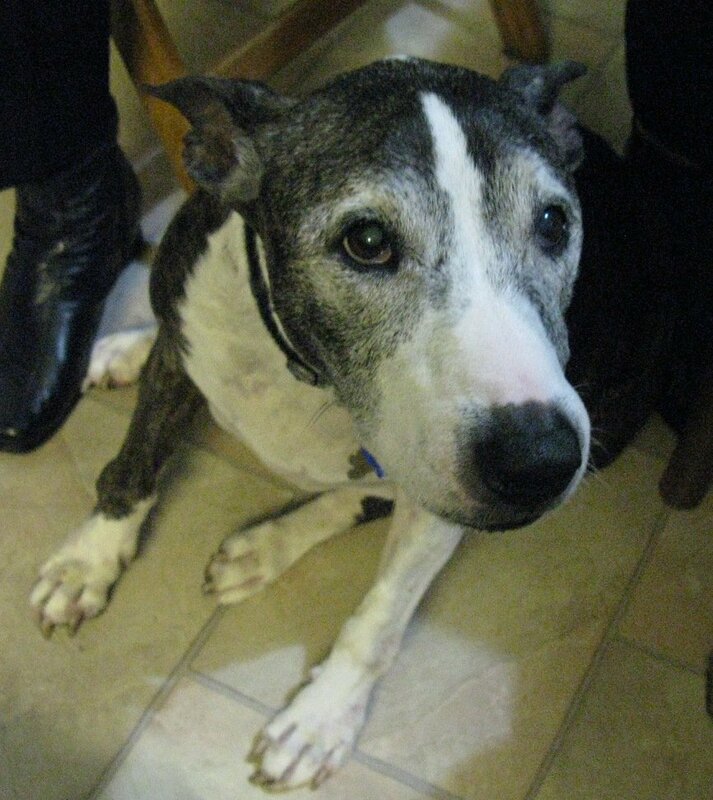 And so the love affair grew & now nearly 15 years later she is coming to the end of her wonderful doggie life. We all love her dearly & that love is returned. We saw her last weekend and she is slowing down, but still full of love and always happy to see us. Awww, Hi Jana! She is super cute! Awwwwwww....she looks like such a sweetie! She is beautiful, and looking good for her age, go girl!! beautiful old girl! i can't get enough of dogs. i simply adore them!